If you are looking for information on the Hoodz franchise business opportunity, Hoodz franchises or Hoodz franchising, then you have come to the right place. HOODZ occupies a valuable, but underserved niche in the commercial food service industry. 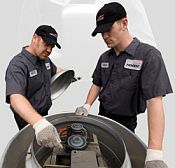 As the nation's leading provider in oven/fryer hood maintenance and cleaning, HOODZ offers an unparalleled opportunity to own a business in an enormous - recession proof industry. 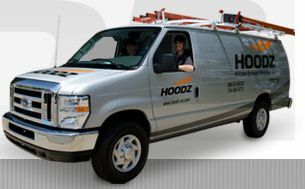 HOODZ is proud to emerge as the first national brand backed by leading service industry providers. Poised for aggressive growth, the HOODZ franchise opportunity will provide business owners with the proven system, brand equity, training and support that no one else is offering. In consistently keeping commercial kitchens compliant with NFPA Standards, HOODZ solidifies its position as a viable, and essential concept with unlimited expansion opportunities. One of the reasons this business is so attractive in today's unstable economy, is because it normalizes those manic mood swings in the market place. 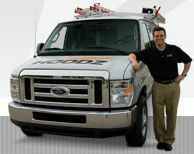 Regularly scheduled hood cleaning is a mandatory service that is regulated by the fire marshal and health departments. The non-voluntary nature of this service makes the HOODZ business virtually recession proof. Looking For Stability and Security? When you become a HOODZ franchisee, you are instantly associated with an internationally respected entity. HOODZ is owned by Belfor; the Largest Property Damage Restoration Company in the world. Belfor is the world's premier provider of property recovery services, with over 3000 offices in 27 different countries. . Additionally, you will be a sister company to DUCTZ, America's largest air duct-cleaning and HVAC restoration franchise, who has surpassed its growth records year after year, launching new offices coast to coast. No Shortage Of Customer Here! Your potential client base as a HOODZ franchisee is truly massive. HOODZ kitchen exhaust cleaning services are utilized by a wide range of clients including restaurants, fast-food outlets, schools, hospitals, universities, caterers and more.